My how things have changed. In the late 70’s, when I was 19 and just embarking on my career in the world of design, my firm at the time, Byron Wiltgen and Associates was hired to design the model for 21 – 31 East Elm. It was a vintage building with 12 condominiums, no parking, and French doors with Juliette balconies that opened up to a view of a lovely brick wall (the building next door). These deluxe condos were expensive, almost as much as Water Tower, which was brand new at that time. 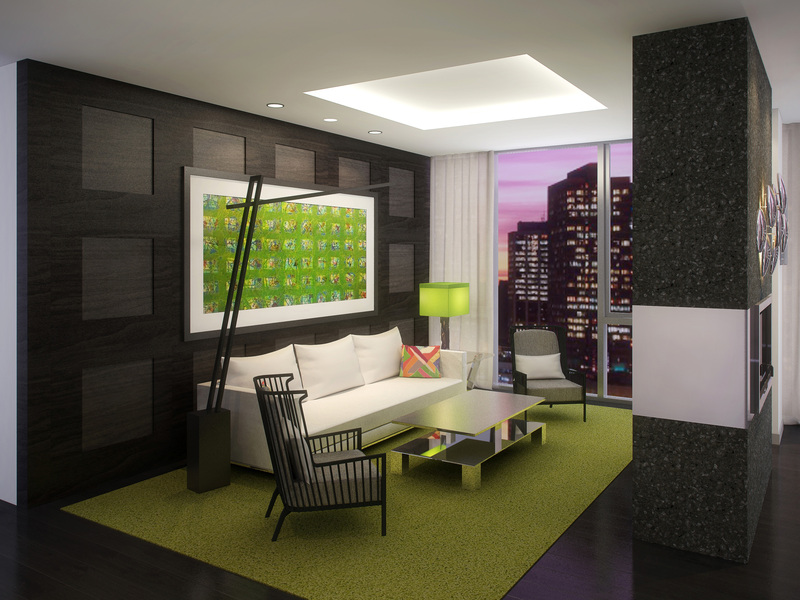 I was thrilled we were commissioned to create the model and common areas. 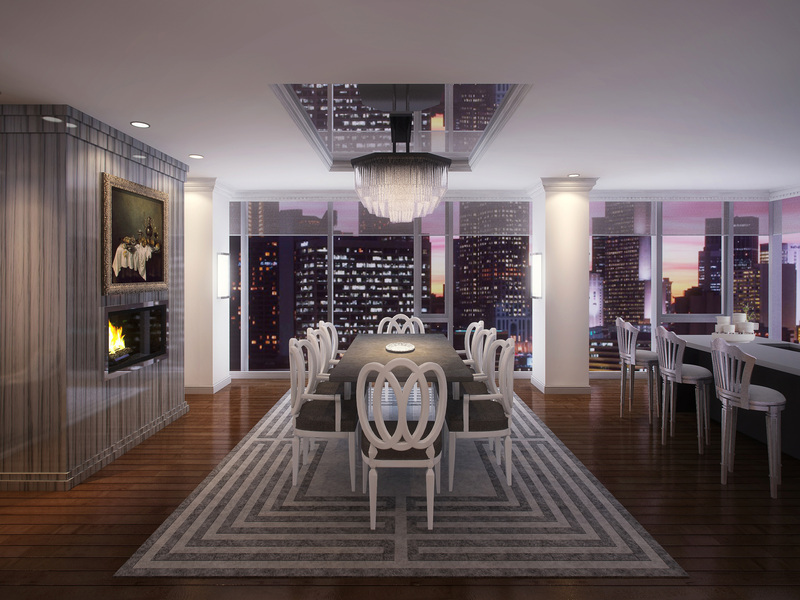 We also designed several private residences in the building for buyers. I spent a lot of time in the building and often ran to Bagel Nosh for some cheese blintzes when I was hungry. Now, a new building, 4 East Elm, has just risen across the street. It’s today’s ultra-fashionable Chicago address; a sleek, modern, 34 story boutique glass tower nestled among classically handsome vintage structures. This architectural jewel combines leading edge design and innate coolness with the iconic Gold Coast’s shopping and cultural destinations. 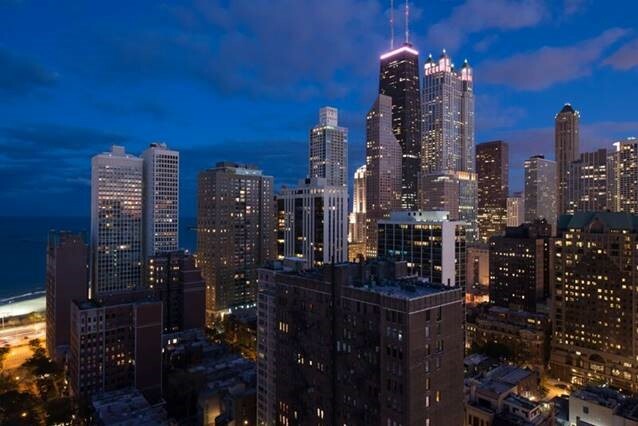 4 East Elm introduces a new generation in Chicago luxury and privacy with the amenities of a much larger building. 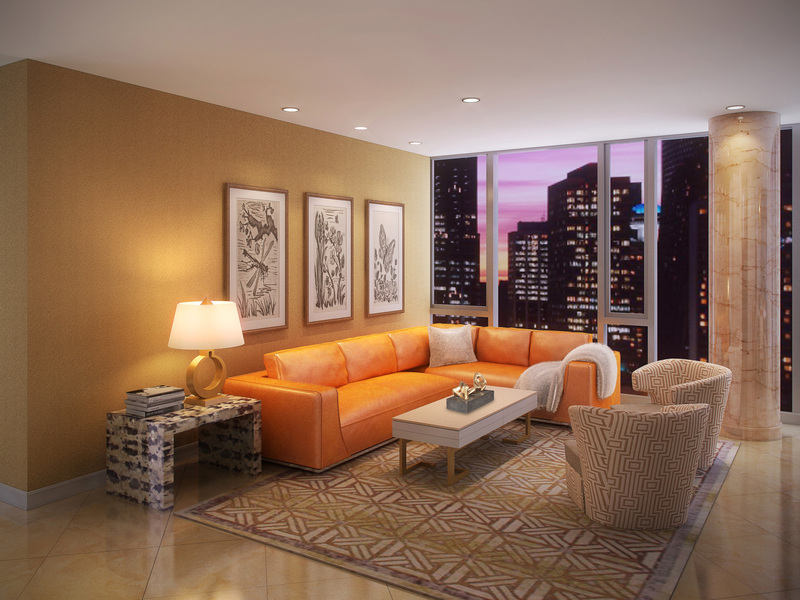 Floor to ceiling blue tinted glass frames expansive city views in spacious (more than 3,000 square foot) condominium homes limited to two per floor. Each is accessed by separate elevators that stop at each floor on both the north and south sides of the tower. To illustrate strategies for adapting its flexible floorplans to buyers’ unique styles and needs, we developed three approaches for the same unit, each embracing a distinctive design statement. 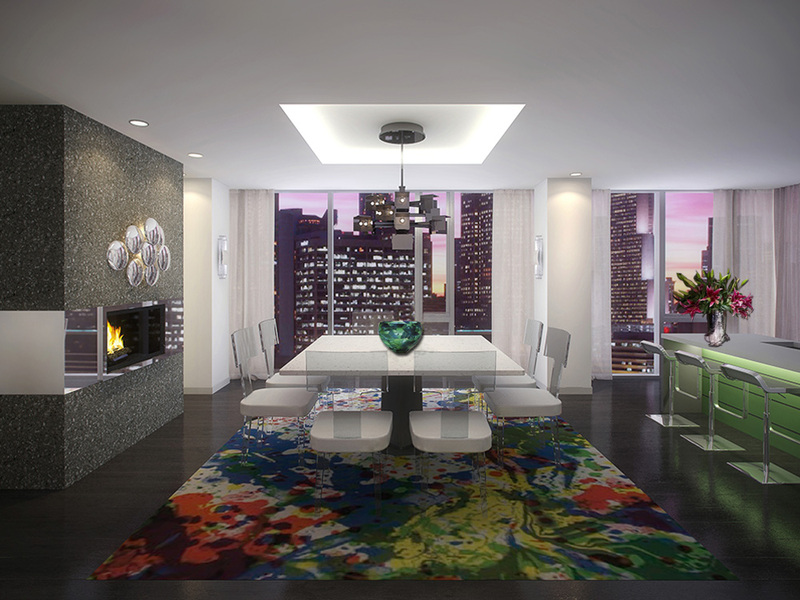 The outstanding urban vista becomes the major focal point in a dining room with modernist appeal. To boost the ambiance, we used architectural touches – a backlit tray ceiling, a see-through fireplace shared by the adjacent living room – then squared off the round structural columns enabling us to add sconces for a crisp, tailored appearance. Thoughtful lighting highlights the architecture. In the living room of the same home as the dining room illustrated above, Postwar California artist Sam Francis’ abstract expressionist print “La Primavera Fredda” (one of a series) establishes the contemporary mood while illustrating the role fine art plays in a home. 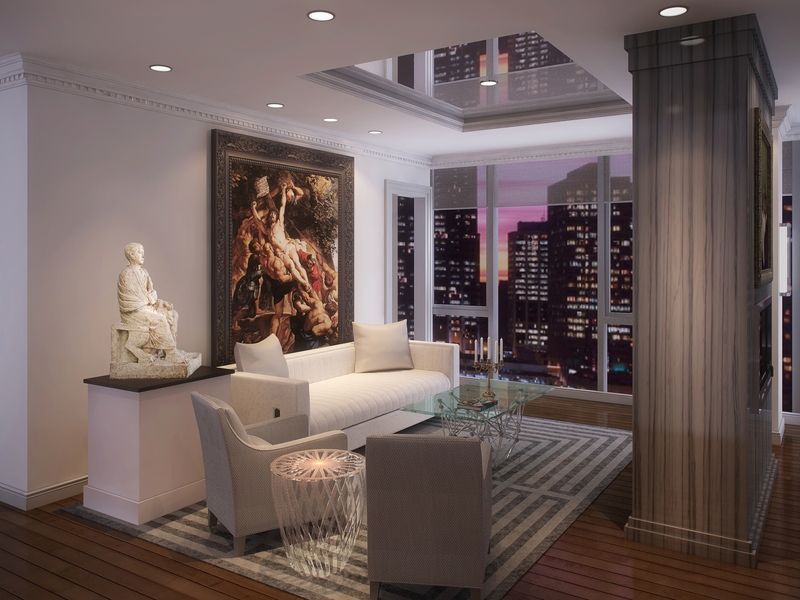 Contemporary detailing for the paneled wall and the backlit tray ceiling helps define the space. Traditional styling cohabitates with more current looks in a neighborhood noted for its elegant vintage architecture. Counter stools, in the room’s adjacent open kitchen, compliment the period-inspired dining chairs. A mirrored tray ceiling and crown molding become the setting’s grace notes. Crown molding with dentil detailing reappears in the living room adding a dramatic neo-classical element to the mirrored tray ceiling. We also modified the floorplan to include a door to the right of the sofa. It accesses the unit’s third bedroom which we thought, in this case, could become a stunning library/home office. In a dining space which is somewhat casual and perhaps better suited to family living, we retained the round structural columns, faux finished them to resemble travertine. A stone floor adds polish to the setting, softened by a chandelier suspended from a ceiling medallion. This space is furnished in the building’s standard envelope with the seating area open to the dining room and kitchen. A combination of warm interesting textures such as the bull horn end table, chagrin cocktail table and leather sectional are practical yet striking. And, a few Picasso prints certainly help. This is gorgeous, and incredibly impressive! These are all gorgeous…can’t make up my mind which I like best! Wow, that’s stunning! Thank you for sharing. Thanks for sending this to me. I have been watching this building go up and wondering what the blueprint for the inside would look like. Now I know. I love it John!!! As always! Thank you for sending John. Beautiful and breath-taking.